Happy New Year everyone! It's New Year's Day and the Rose Bowl is playing in the background as I type this. I've already braved the crowds and the gym and am now drinking alcohol (a necessity...my husband dropped a bottle of cider and the only way to save it was to drink it! ), so 2018 is starting off well. 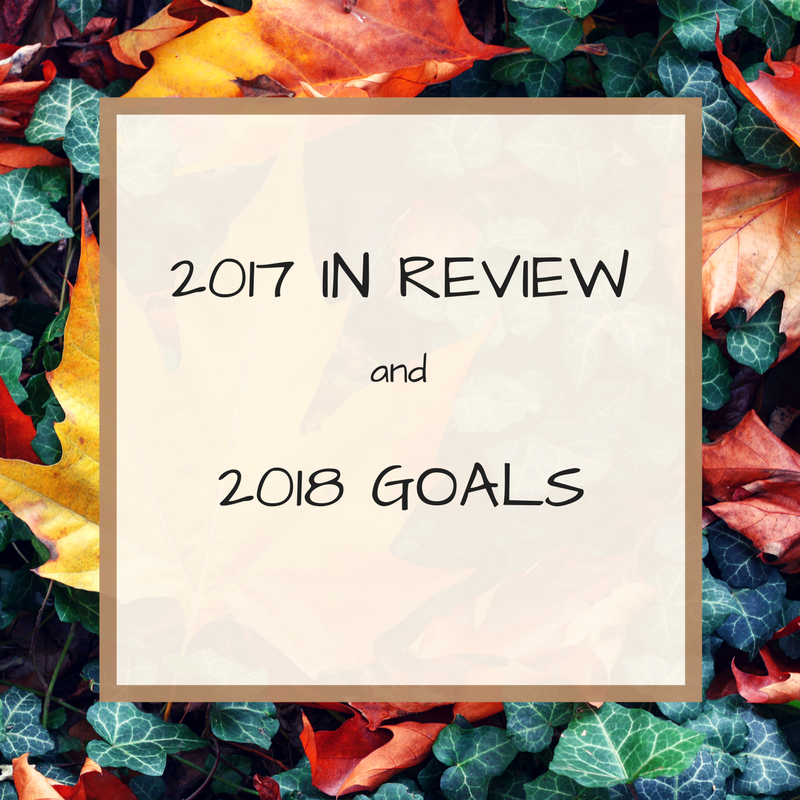 Of course, one thing I do need to do is to look back on 2017. It was...not the greatest year. First of all, reality was not good to anyone with half a brain in their head and a drop of compassion running through their veins. On top of that, I lost my mother in April, which made the year especially hard. I had a horrible reading slump for the majority of the year, which I only started to get out of in the past week or so (truly...even though it won't seem like that when you see my numbers). In the realm of "things that really shouldn't be a big deal" the Packers had a terrible season once Aaron Rodgers was injured, but at least the Seahawks are out of the post-season, so there will be no, or at least minimal, trash talking between the hubs and I. Anyway, let's look back....and forward! I did some math last night before the ball dropped and have some statistics to share about my 2017 reading. I'm actually a little surprised at this number. I hadn't realized that I finished so many audiobooks! That is more female-heavy than last year, but I'm fine with that. The biggest uptick was romance, which is not surprising. This is the year when I really just wanted to read books that I knew would give me a happy ending. I'm not going to list out all the books I read, but you can see a nice visualization of it in the My Year in Books page on Goodreads. So, let's talk goals. You can see my goals from last year here. I'd like to say that I succeeded with all of them, but the only one I actually met was my Goodreads goal. And I'm okay with that. I realized this year that I need to take some pressure off myself. This reading and book blogging thing should be fun, and I'm going to make sure it is. 1 - More reviews. Because, honestly, I don't think I could actually do fewer reviews this year. But, once the fog of my book slump started to life, I got back into reviewing as well. January and February are already almost completely full. I will be taking a break from reviews in June, but that is because we won't be home for part of the month. 2 - More instagram and twitter. I've been pretty active on these two platforms during this year (although twitter is less books and more complaining about reality). Neither of these will replace this blog, but if you want more of me--and who doesn't?--I can be found both places as "westmetromommy." 3 - More snarkiness. When I've written reviews in the past, I've tried to sound somewhat professional (or something like that). As a result, what I have ended up not sounding like is myself. My reviews going forward may be shorter, but I think they'll be more personal. So, onward into 2018! I hope that it is a great year for all of us, that the right things happen, and society as we know it still exists in 2019!